You are the bridge that holds us. The umbrella that shelters us. The river that carries us towards adulthood. It was a special moment of thanks given to me by my children. And I appreciate their appreciation! However, for every one time they recognize with thankfulness my service or sacrifice, there are nine other times, being children, they don’t see or can’t understand it. Sometimes I miss the old days when I worked in the business world and got a pat on the back, or a bonus on my paycheck for a job well done. It can be addictive, the praise of men or the money in your pocket--the tangible reward for work done well. Yet, in all things, as Christians, our efforts can carry eternal significance if we do it working as unto the Lord. Whether anyone notices or not. Whether it turns out they way we want. Whether it seems trivial or repetitive. This work of art was commissioned by @frugallady, as mentioned in her post here. I’m thankful for her encouragement and idea to create this word art. It's such a pleasure to work with fellow Steemians! 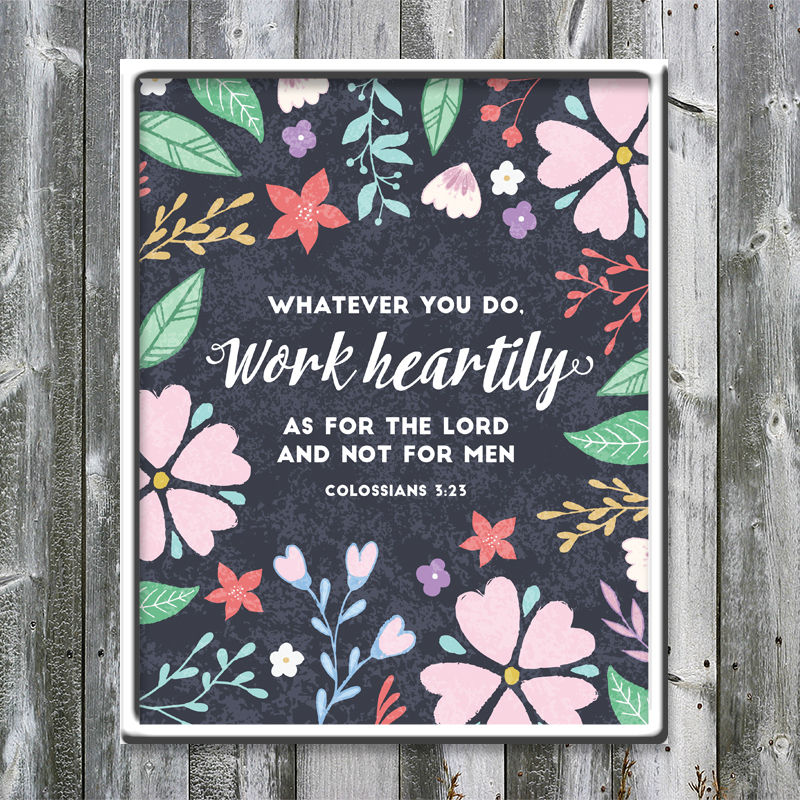 In this design, I wanted the words “work heartily” to stand out the most, as that is a key concept within the verse. 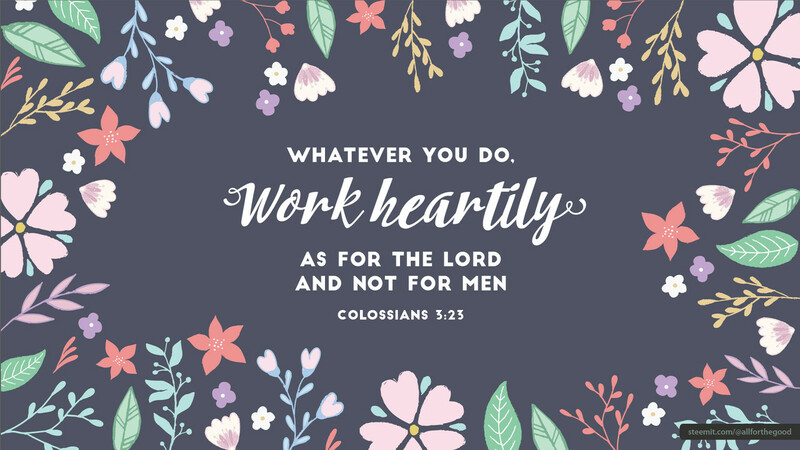 Knowing, we are working for the Lord, we put our heart into whatever we are doing and do it with all our might...that is, when our focus is where it should be. I chose the floral background as a decorative element that hints at the beauty of doing work unto the Lord. And, practically speaking, it is normally women who try to post verses like this around their home, as they are usually the ones decorating. The floral elements were selected with that fact in mind. Finally, each flower was carefully placed and replicated to create a balanced frame for the bible verse. A special thanks to @negativer for the idea to include free desktop wallpaper in my posts. My laptop screen is something I--and likely, you--face every day and is a great place to include some timely encouragement. Hope you enjoy. Click here for the high-res version. Love this one! Great verse to post around your home! Thank you, I think so too! If you have more idea for verses you'd like to see, let me know. Whoops! Just realized this post is 21 days old! 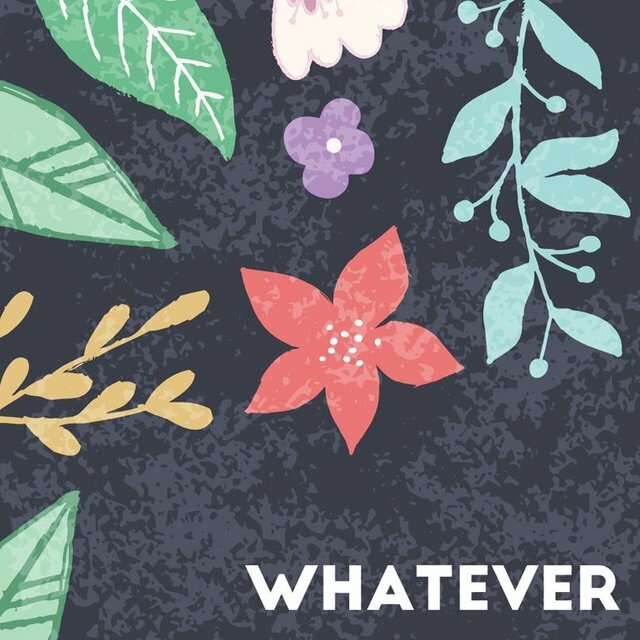 Love how this looks, and it's a great mantra for anyone at any point in their lives. Thank you! So good to remind ourselves of core truths that should be guiding our day to day actions and attitudes. I'd like that in my schoolroom. Do you have it somewhere for sale? Currently, it's the first one listed.